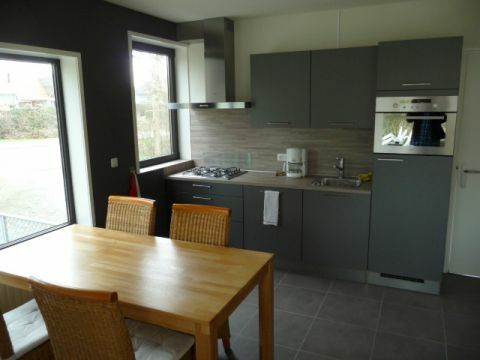 Apartment for 4 people, amidst the peace and quiet of the polder landscape, and only 200 meters from the beach. A unique place with its own garden with sunny patio (with furniture) and lawn where you free it. The house is fully furnished. You will find the comforts of home. Living room with a fully equipped kitchen (fridge-freezer, microwave, stove, oven, dishwasher coffee maker, etc.) with stylish furnishings including radio and TV.De house has a conservatory. The house is heated by central heating. Bathroom with shower and toilet. 1 bedroom with 2 bed (ground floor) and 1 bedroom with 2 1 beds (1st floor) The only thing you need to bring is bed linen (towels, sheets, pillowcases, etc.). When home is a private parking (free). 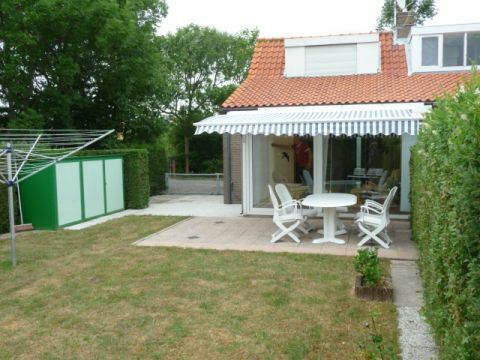 The house is in a small holiday park with a pool and some toys for children. Use of the pool is included. TheThe holiday park is adjacent to the Coast Light. Find a restaurant, cafe and snack corner, where you at low prices and a meal can use to find fun in the early hours. Carts can be rented at the park. 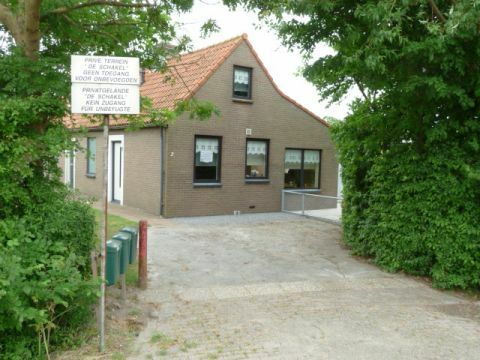 The home is near the village Zoutelande. Zoutelande is a charming seaside resort, where you will find lots of fun. There are cafes with terraces, nice eateries and restaurants. The characteristic narrow streets are attractive shops to explore. The surroundings are beautiful. You'll find lush dunes, vast polders and lots of beautiful wooded spots. The beach faces south and is clean and wide. You have everything within reach and also there are many possibilities for various excursions. Pets are welcome with prior informed.